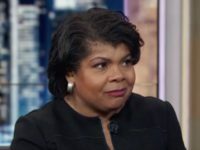 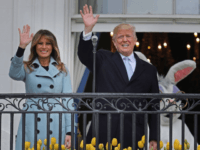 Mrs. Trump, as I mentioned in my recent Fashion Notes, is shaping up to make gloves the accessory staple of the winter season, choosing once again to rock a pair of leather gloves this week. 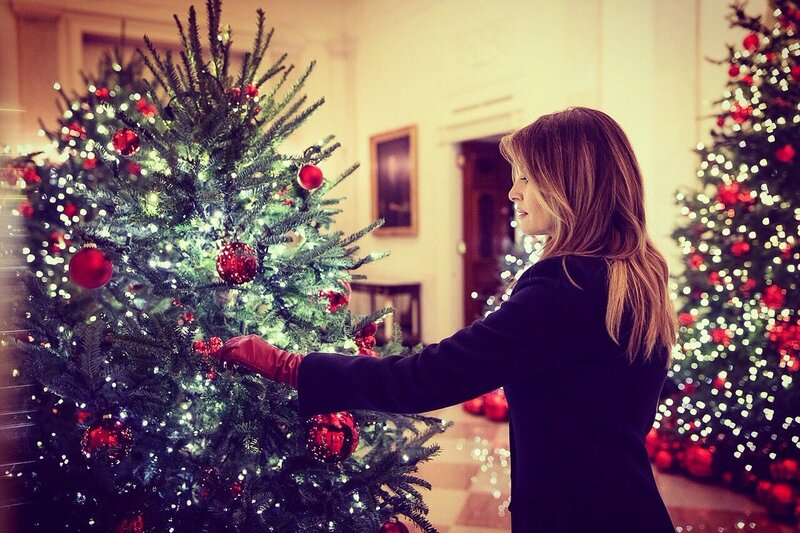 Only this time, these gloves matched the gorgeously vibrant red Christmas trees she is displaying at the White House. 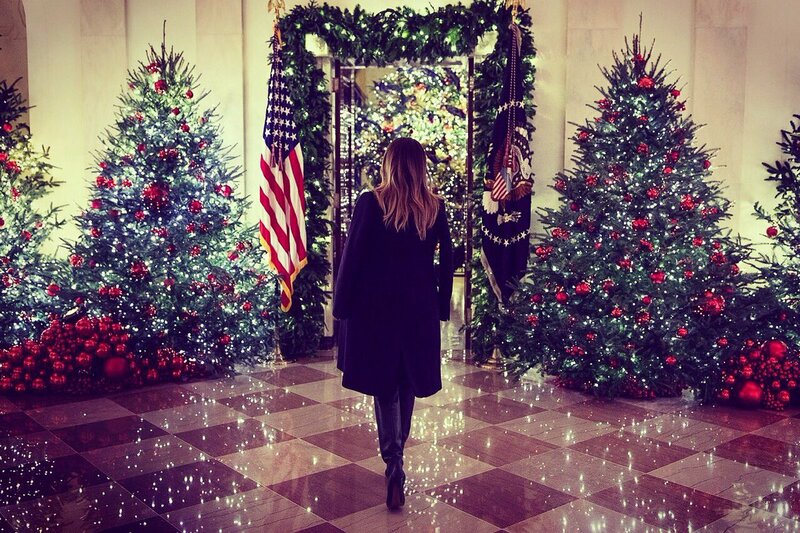 In photos and video by her office, Mrs. Trump walks through the rooms of the White House in a tailored navy wool and cotton blend Stella McCartney coat, a pair of skinny jeans, knee-high leather boots, and red leather gloves. The McCartney coat is available for retail — $1,730 to be exact — at FarFetch. 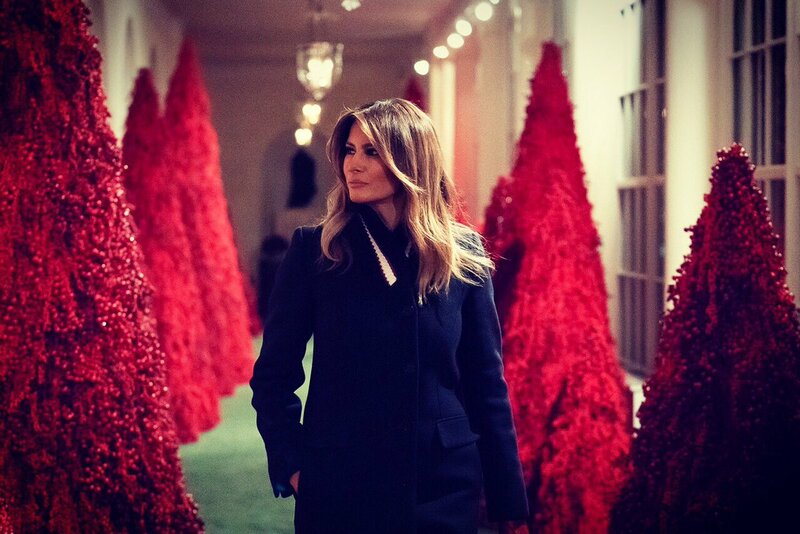 As Mrs. Trump puts the finishing touches on the Christmas decorations, she hangs ornaments and adds red bulbs wearing and holding in one hand the red leather gloves. 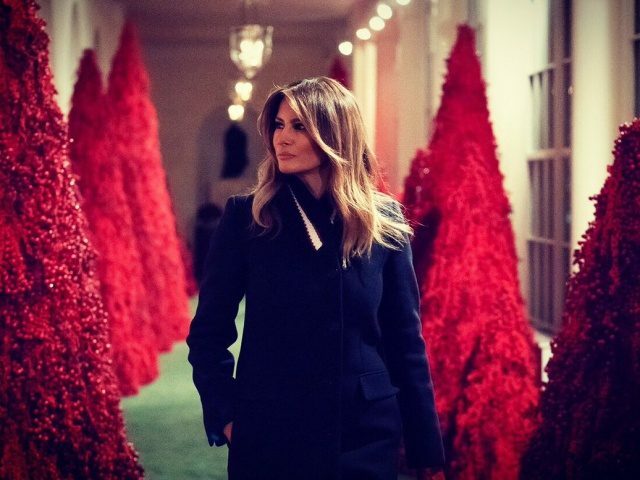 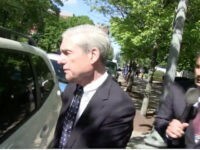 It’s going to be a red Christmas this year!